Along with providing life-saving services, we speak out about what we witness. This speaking out – based on the concept of temoignage – is the core of the Médecins Sans Frontières/Doctors Without Borders’ (MSF) advocacy approach. We advocate to governments, non-state armed groups, UN agencies and other influential actors to highlight the plight of populations in danger. The aim is to galvanise politicians to action; for example, to open humanitarian access to people who are cut off from aid. Or to push for lower costs for essential medicines. Our approach is based on the realities that we see in our work. We highlight the issues our patients are confronted with and advocate on their behalf. Our advocacy is based on analysis of medical data, on operational research, and on the testimonies of our patients and of our staff. Sometimes people wonder whether advocacy is compatible with humanitarian action; whether speaking out makes humanitarian agencies lose their neutrality. Dr James Orbinski, accepting the Nobel Peace Prize in 1999 said: “Silence has long been confused with neutrality, and has been presented as a necessary condition for humanitarian action. 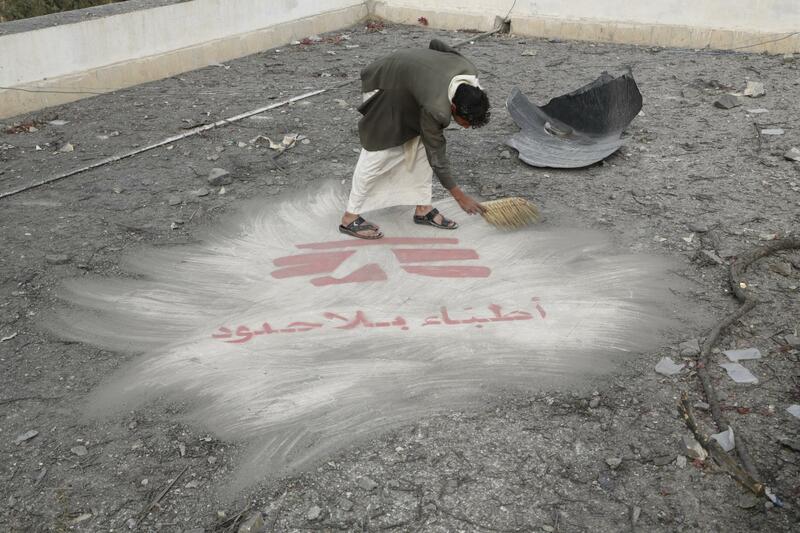 “From its beginning, MSF was created in opposition to this assumption. We are not sure that words can always save lives, but we know that silence can certainly kill." "We are not sure that words can always save lives, but we know that silence can certainly kill." One important strand of our advocacy has been to document and denounce attacks on hospitals. As the war in Syria has ground on, we have documented the war-wounded and war-dead, using the medical facilities we support to gather data. This clear, verified and first-hand information is vital for our organisation’s credibility and is the foundation of our advocacy. In this case, the data provides a compelling case to make to governments and non-state actors about the humanitarian consequences of their actions. Dr Joanne Liu, MSF International President described in her speech what had happened: “Make no mistake: we will relentlessly denounce attacks on healthcare.